Across the board in all product areas, we see two key drivers of growth: Connected Industry and line competence. 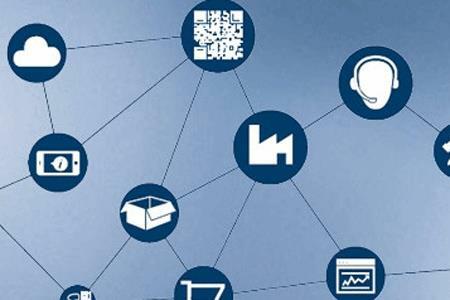 The common term is “Internet of Things” – its close relative in manufacturing is Industrial Internet of Things (IoT), which at Bosch is called “Connected Industry” (CI. The far-reaching connectivity of various technology areas aims to make our lives even easier and safer in the future – both in a personal and an industrial context. In manufacturing, this means improving upon how all steps are interlinked in the value chain and ensuring equipment operability and product quality. This is accompanied by substantially more flexibility in manufacturing. Above all, Connected Industry holds the key to improved service. Two examples already implemented are the traceability of products and the remote service. Connectivity of packaging and process equipment offers customers of the pharmaceutical and food industry additional opportunities to assure quality and increase productivity. The connection of machines is important for the pharmacists who have to deal with new policies and laws in the field of serialization. With the CI software solution for Track & Trace, not only single and local production processes can be managed; there is also the possibility of the global networking of separate components, all the way up to complete factories. The remote service portal establishes a secure data connection between customers’ facilities and Bosch experts to maintain equipment fast and efficiently worldwide. The remote technology is well-suited for the installation of machines, remote diagnostics and troubleshooting as well as software updates. Thanks to connectivity new service solutions are being developed which will improve availability of expert know-how worldwide. We develop and market innovative connected devices and tailor-made solutions for the Internet of Things (IoT). Our competencies in electronics, sensor technology and software enable new business models for global markets. Private users of connected devices will see the new services enriching their relationship to the products, providing higher quality of life, comfort, security, and fun. Corporate users of these services will benefit from efficiency gains, cost savings, and better allocation of resources.